If you are having issues with your game these hints and tips you can do almost always help. 1) Dismount - if you are riding something dismount it. Only ride when you have a reason to be doing so, then dismount. Once dismounted, do number 2 below then refresh your game. In Firefox: Options - Privacy - Remove Individual Cookies - Click Clear All or find the Zynga ones. Some issues can come from disabling 3rd party cookies. 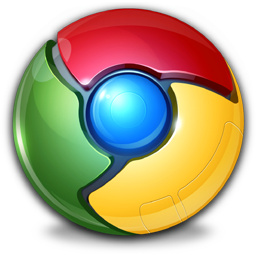 6) Try different browser - Google Chrome typically is the best browser for the game, but if the above doesn't help your issue try using a different one for a little while. 1) Click for 'Account Settings' at the top right of your page - use the little spanner wheel next to your name. 2) Select "Apps" on the left side of the page. 3) Locate "Pioneer Trail" on the list of apps you see. 4) Click the "X" to the right of the Pioneer Trail app. 5) You will need to confirm that you want to remove the app by clicking the "remove" button. 6) Sign out of Facebook. 1) Clear your browser cache and flash cache. 3) On Facebook's Search box at the top of the screen type search "Pioneer Trail." 4) Click on the one that comes up for Pioneer Trail Game. 5) Click on "Go to app." 6) The next screen will ask you to "allow" the game, and will load the game for you. Sometimes it's as simple as switching your router off, leaving it for 30 seconds then switching it back on again. Check your energy saving options and make sure that you are using High Performance mode. If your laptop is set to save energy, it may not being doing enough to run or even load the game effectively. By all means reduce the screen brightness but other settings may cause problems. If you're using a wireless mouse, check the battery.